Hurricane season can pose a huge threat to the integrity of your roof. A roof can go through excessive wear and tear in this season due to the presence of high-speed winds and storms. It is important to be aware of every possible threat of this season to be able to deal with it effectively. Here are a few hidden threats of hurricane season mentioned. Debris is one of the greatest culprits which can cause a huge disaster to a roof. During hurricane season, high winds bring a lot of dust, debris, glass, and sticks from other places to your roof. If you don’t pay heed to it, it would start affecting the structural integrity of your roof sooner than expected. The largest issues caused by the debris are loose shingles, rips, damaged roof membrane, holes, and so many more. Moreover, the gutter system of your roof might also get clogged due to the accumulation of debris, dead leaves, and dust particles. You need to avoid this issue by getting your gutter system inspected by any of the professional contractors. The structure of a roof can be compromised due to the high-speed winds and storms of hurricane season. This way, the strength of the roof would also start diminishing. If you don’t pay heed to the maintenance and repair requirements of your roof, you might be welcoming moisture, pests, flooding, moss, and many devastating issues. It is also possible for a roof deck to get blown off by the winds and storms of hurricane season. It would start from the deterioration of the protective layer which is present under the shingles. Once the layer and ridges are destroyed completely, the roof deck would get exposed to the critical elements of the storm. You need to keep your roof safe by adding extra protection layers on it. It is also important to get your roof inspected first to see how much weight it can carry easily. You can take assistance from any of the renowned professional roofing contractors Oakland County Michigan to get the suitable number of layers installed safely. If your roof is already about to reach its age limit, the chances of a roof collapse might become higher due to the heavy winds of hurricane season. 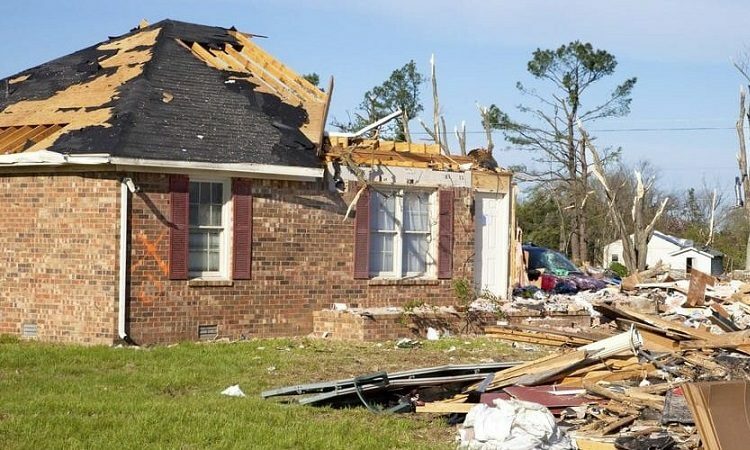 Since it poses a threat not only to the interior property of your home but also to human lives, it is important to get the roof replaced or repaired before the hurricane season. The debris which gets accumulated under the roof shingles can turn into the moss after receiving rain water on it. You need to get it removed on time to prevent the growth of moss and mold. Otherwise, they may end up eating the roof shingles and entire roof deck. As you are aware of the hidden threats of the hurricane season now, you need to keep your roof prepared beforehand.